We’d love your help. Let us know what’s wrong with this preview of In a Southern Closet by J. Robin Whitley. 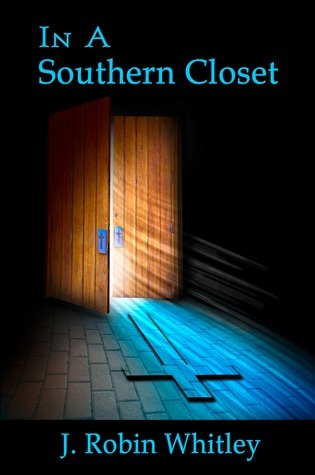 To ask other readers questions about In a Southern Closet, please sign up. J. Robin breathes grace and longing in this beautiful memoir filled with introspective self understanding and God's agape. This work best serves those whose brokenness can resonate with God's great power to love us despite our failings. What immediately comes to mind is Matthew 11:27 or 28 "Come to me who are weary,and I will give you rest." Now that healing and wisdom are more apparent, perhaps in "yoking" to Christ, J. Robin will be bolstered to new ministries. Good insight into the life of the author as she struggled with her life within and outside of the formal church community. I hold this book in my hands, with the sure knowing that it will change many lives. It is beautifully written in Robin's voice - so strong, so true. Robin is an artist living in the mountains of Western NC with her black dog, Birdie. In addition to writing, she paints, and performs music. Robin's debut novel, Finding Home, was released October 19, 2017. She is also working on a collection of short stories that will be available on audio. Keep your ears tuned for more!